It snowed and snowed last night, so when I woke this morning I knew a dress was in order to make my day that much cheerier! I snapped these photos before I changed out of my Wellies and even before the daily coffee! Any who here is my outfit of the day! 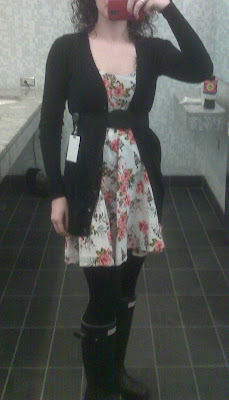 I happen to really like it, I feel extra girlie! 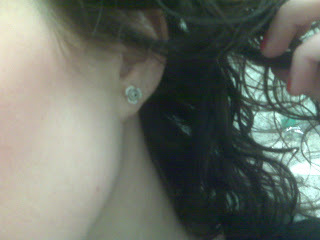 I even wore little roses on my ears!